While the biggest impact of Brexit will be felt in the UK, it is more likely to be an inconvenience for investors, rather than a barrier to investment or trade. As Article 50 is triggered, what will be the consequences for your investments? Most analysts expect the triggering of Article 50 will have little immediate effect on the UK investment market and exchange rate. As well, it is probable that the impact of Brexit on trade will be relatively small too. Although the UK's economic performance since the June 2016 vote has been described as "incredible", the negotiation portion of Brexit is expected to be "troublesome." Many are attributing this to the tight two-year time frame for the negotiations. Analysts forecast that markets could suffer if Brexit discussions prove difficult. While the biggest impact of a hard Brexit will be felt in the UK, there can be little doubt that there will also be a significant impact on the rest of the European Union. 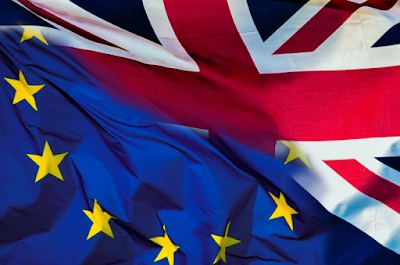 It is highly probable that a favorable trade agreement will be reached after Brexit, as there are clear advantages for both the UK and the EU in continuing a close commercial relationship. But the worst-case scenario, in which Britain faces tariffs under ‘most-favored nation’ rules, would still not prove to be a disaster for the UK. These factors are more likely to be an inconvenience for UK exports, rather than a major barrier to trade. After all, post-Brexit outcomes which reduce trade or increase the cost of trade between the UK and the rest of Europe will be damaging for both sides. With the Brexit vote comes much political, economic, and financial uncertainty, both for the UK and Europe. Although the impact of Brexit on the British economy is uncertain, Britain’s long-term economic outlook is not solely dependent upon the outcome of negotiations. This is in part because Britain has pulled ahead of the European Union in recent years, and economists expect the gap to widen. Because of the depreciation of the British pound, and the fact that fundamentally the UK is still a large market with 65 million affluent consumers, many investors are seeing more opportunities to invest in the UK after Brexit. Regardless of what happens though, maintaining a diversified investment portfolio is an essential strategy for investors.